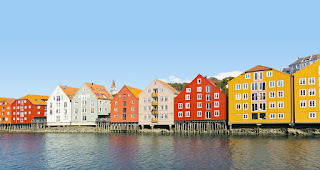 One of Europes leading legacy carriers, Finnair, is continuing to expand its network in the Nordics and opens a new year-round route to Trondheim in Norway in June 2019. Finnair also adds flights to another popular destination, Tromso, in Norway. The route will be operated by Norwegian regional airline Wideroe five days a week, with a Bombardier Dash-8 Q400 aircraft, and the flights are sold and marketed by Finnair. The service concept onboard will include both Business and Economy Class, and the flight’s schedule will connect to Finnair’s Asian flights as well as to Finnair’s European network. Finnair also adds flights to Tromso in Norway, in collaboration with Wideroe, and as of June 4, will offer flights between Tromso and Helsinki three times a week, on Tuesdays, Thursdays and Sundays, year-round. Tromso is situated 350 kilometres north of the Arctic circle, and is famous for its artic nature, the northern lights and a wide variety of outdoor activities ranging from hiking to whale watching.